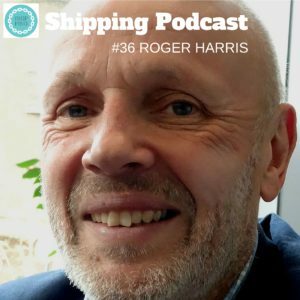 Roger Harris is the Executive Director of the International Seafarers’ Welfare and Assistance Network (ISWAN). He joined the International Committee on Seafarer’s Welfare (ICSW), the predecessor to ISWAN, six years ago. Previous to working at ICSW, Roger worked in senior positions, mainly in fundraising, for a range of not for profit organisations including Concern Worldwide (UK), the international development NGO, and The Terrence Higgins Trust, the HIV and AIDS charity. Roger also played a leading role in raising funds in the UK for Nelson Mandela’s Presidential election campaign in 1994. The focus of ISWAN is to promote the welfare of seafarers worldwide. ISWAN runs SeafarerHelp, the free 24 hour multi-lingual helpline for seafarers and their families as well as a number of other projects in support of frontline welfare organisations around the world. ISWAN train ship visitors around the world to go on board to befriend seafarers, provide advice, and enable them to contact home. So far they have trained over 1000 ship visitors. ISWAN also produce and distribute information for seafarers on improving health and preventing diseases such as HIV and malaria. We produce a seafarer centre directory for seafarers with details of welfare provision and local amenities available. You are more than welcome to comment on the episode, or why not write a review in iTunes?